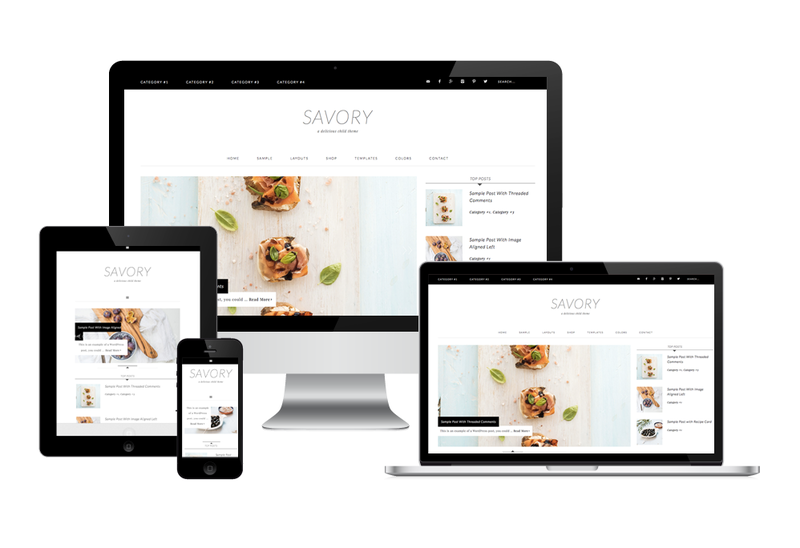 Whether you run a seasoned food blog or you are a newbie, having a good layout and functionality is important. And that is where your theme comes into play. Having a theme that shows off your awesome photography and gives your readers navigational options to easily find your recipes and content is so very important. Other things you want to think about is the ability to easily incorporate signups for your mailing list and social media linking. When I go to a site I love, even if I don’t sign up for the mailing list, I always look for social icons so I can keep up. 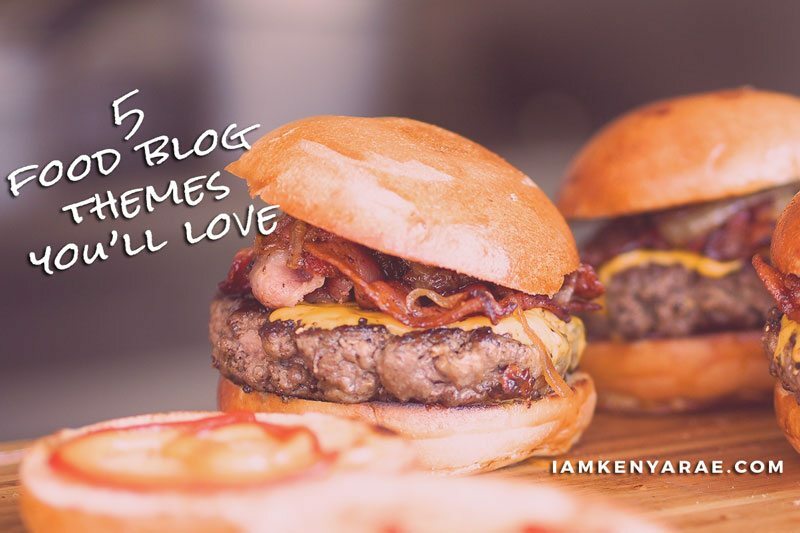 Today I want to share with you a few of my favorite Food Blog Themes that are good for any foodie blogger, and even non-food bloggers, depending on what you are looking for. This theme is created by Feast Design Co. 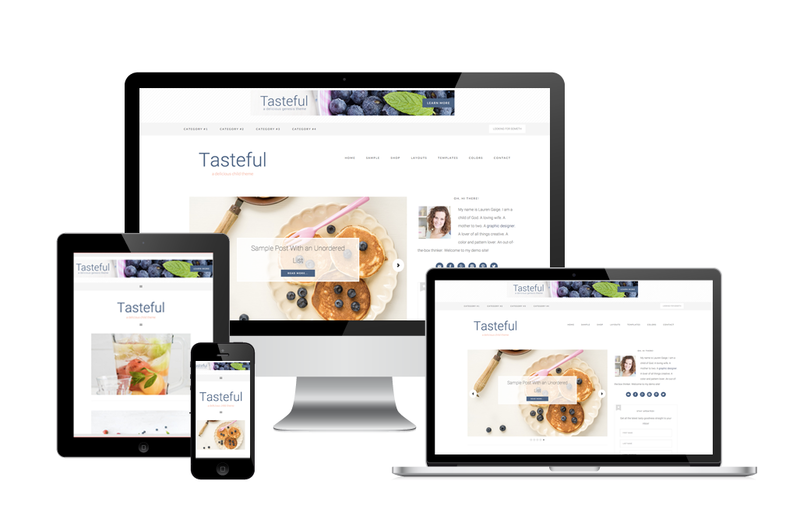 They are a company that creates themes specifically geared toward food bloggers. Which means they have thought through what it is that you will need from a theme. I personally love the minimalism of this theme. I personally am a fan of site that have a lot of white space. Particularly food blogs. That way readers stay focused on what they came for – FOOD! 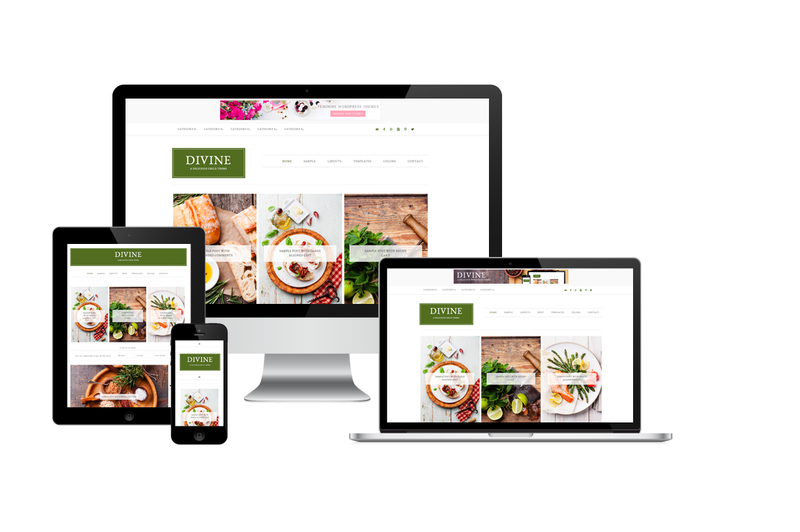 This theme is also created by Feast Design Co. Offering a more photograph focused layout. One that allows you to display your amazingly beautiful photos of all that yummy food you are making. I personally love the focus on the photography with this one. And the organization of the layout. Still a minimalistic approach that has a great emphasis on imagery more than words. Which is great for all of your visual readers. This theme is created by Restore 316. A company that prides itself on making great themes that are geared toward a more feminine design aesthetic. This theme is similar to Cook’d Pro in the emphasis and focus on photos and imagery. It functions similarly with a more feminine and bright vibe to it. This theme is also created by Restore 316. So it has that feminine vibe to it as well. It is a little more minimal than some of the others. I personally love the versatility of this theme and have used it before. Although my blog had no parts food I was easily able to style it and customize it to my liking and personal style. This theme is created by Restored 316. I personally love the integration of the social media icons into the header menu. It also has several menu spaces that allow for users to easily navigate and move around your site. A beautiful, feminine, minimal well designed theme. All of these food blog themes are run on WordPress, using the Genesis Framework. I love Genesis because the optimization of SEO, the ability to update WordPress without losing customizations, increased security, it’s backed by wordpress developers who are always working to keep it updated and making sure to give its users the best user experience. What more could you want?? If you want to read more about the Genesis Framework and why you should be using it, Upwork has a detailed article on the benefits of using it. As an added bonus, and honorable mention, I'd like to share an awesome Food Blogger plugin for sharing all those awesome recipes. 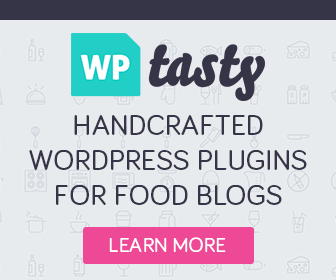 WP Tasty, created by the team behind the awesome Food Blog Pinch of Yum, is a great plugin to add to your arsenal as well if you are looking to up your food blog game. Bjork Ostrom of Food Blogger Pro, also affiliated with Pinch of Yum, had a great podcast episode on choosing a good recipe plugin and what you should look for : 96 | How To Create The Perfect Recipe Post. What's your favorite food blog theme and/or plugins? Do you have a favorite that you are using? Does this help you if you are looking for a new one? These are so pretty! I’ve been contemplating turning my Insta account into a full-blown food blog so this is helpful! Like sharing the full recipes directly on IG without sending followers to a site? 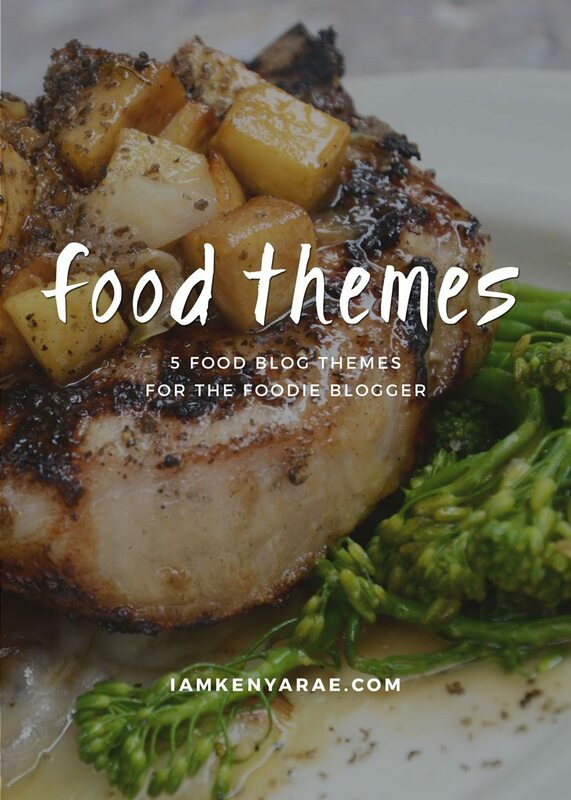 When I started bloggin, I had no idea there were themes that were specified for food bloggers. I like the one I have for now, but when it’s time to change, I am thinking about Foodie Pro! I loved seeing the different themes and the features of each. So easy to compare them all in one place. Thanks for putting this together and all of your research! No problem at all! Glad you enjoyed Amanda! The themes all look so wonderful. I have some friends with foodie blogs that definitely need to check these out.